This is the slide show window. 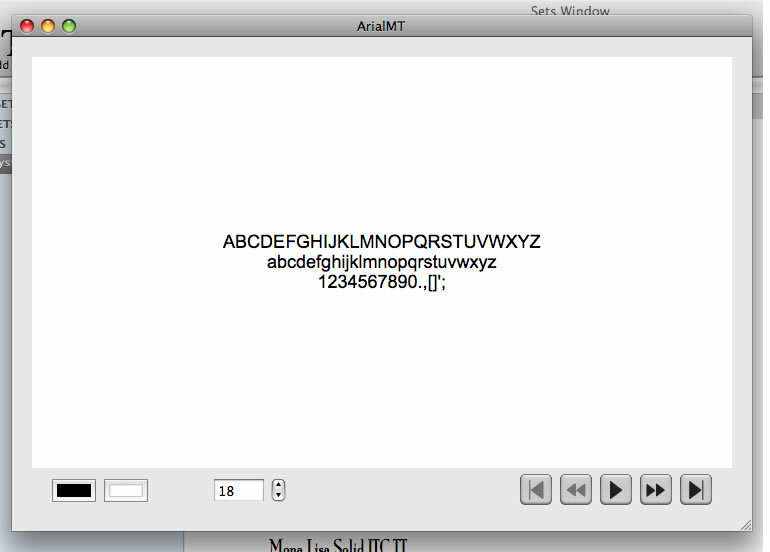 With it, you can view all of your fonts in a continuous display. Or go to different fonts. 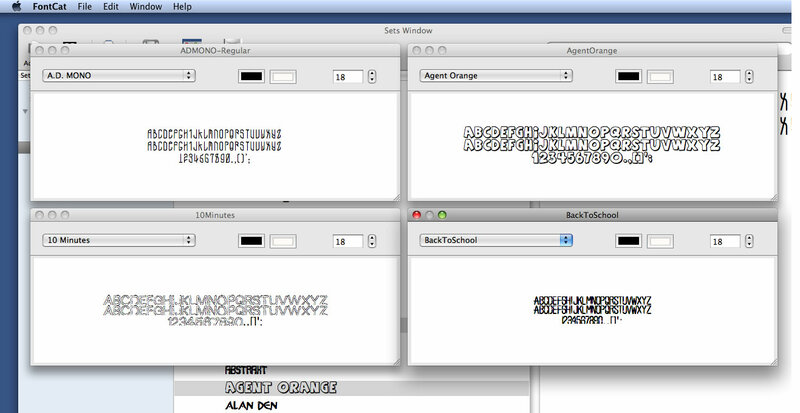 The Quick View display gives you a side by side comparison of selected fonts from the main font listing table. The Layout editor is where you can create customized layouts to handle printing of your fonts or font listing. 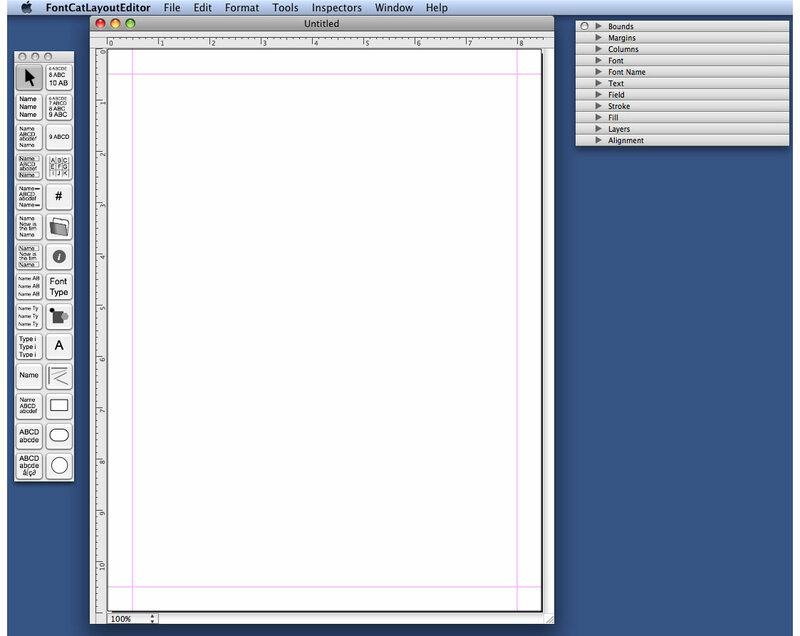 Download some sample layouts and resulting PDF files.